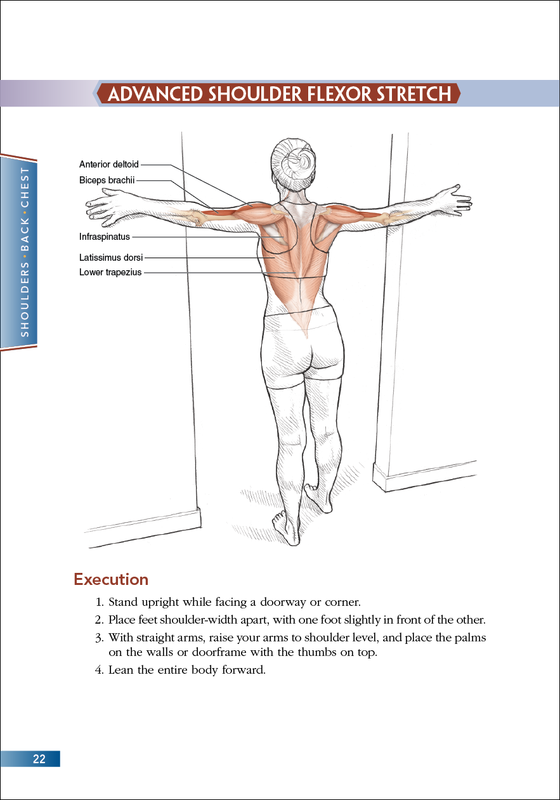 See inside every stretch as you increase flexibility and improve muscular strength. 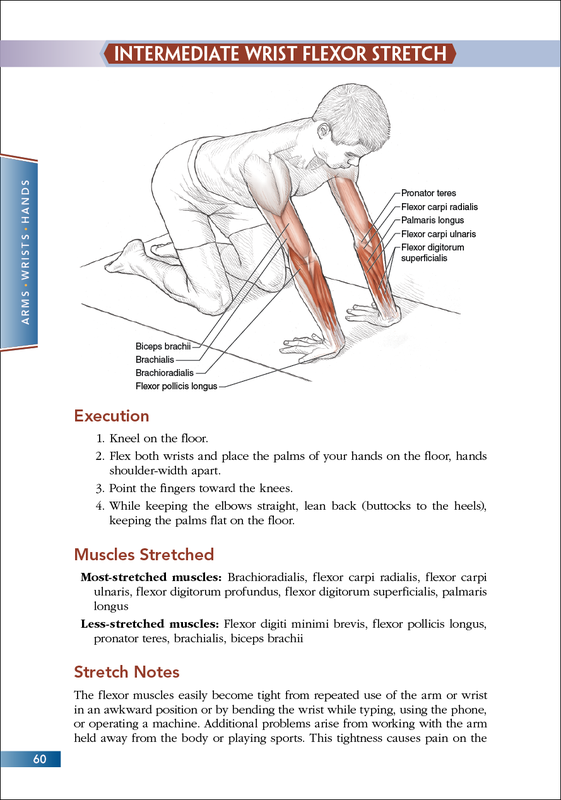 Expanded, enhanced, and updated, the best-selling Stretching Anatomy returns to show you how to increase range of motion, supplement training, enhance recovery, and maximize efficiency of movement. You’ll also gain a detailed understanding of how each stretch affects your body. Jouko Kokkonen, PhD, is a professor in exercise science at Brigham Young University in Hawaii. For more than two decades he has taught anatomy, kinesiology, exercise physiology, and athletic conditioning, and for more than three decades he has coached track and field. Kokkonen’s research has focused on the acute and chronic effects of stretching. He earned his PhD in exercise physiology from Brigham Young University and now resides in Laie, Hawaii, with his wife, Ruthanne. 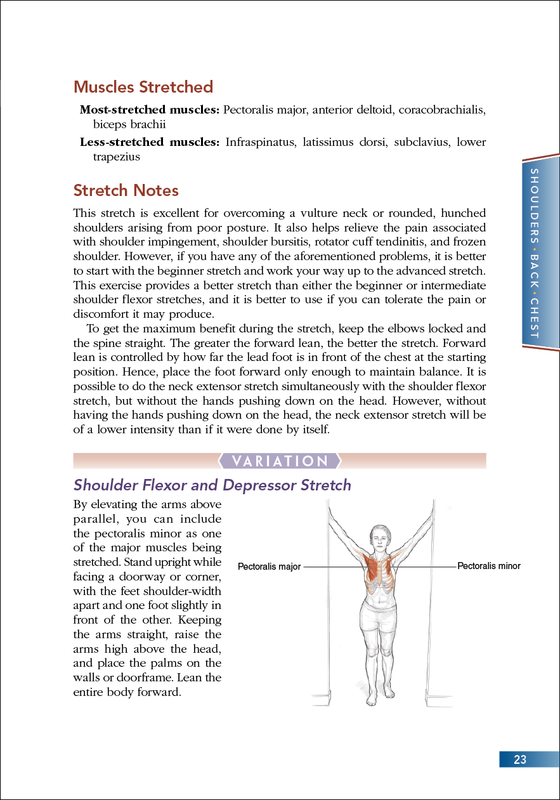 Advanced Shoulder Flexor Stretch Advanced Shoulder Flexor Stretch cont. 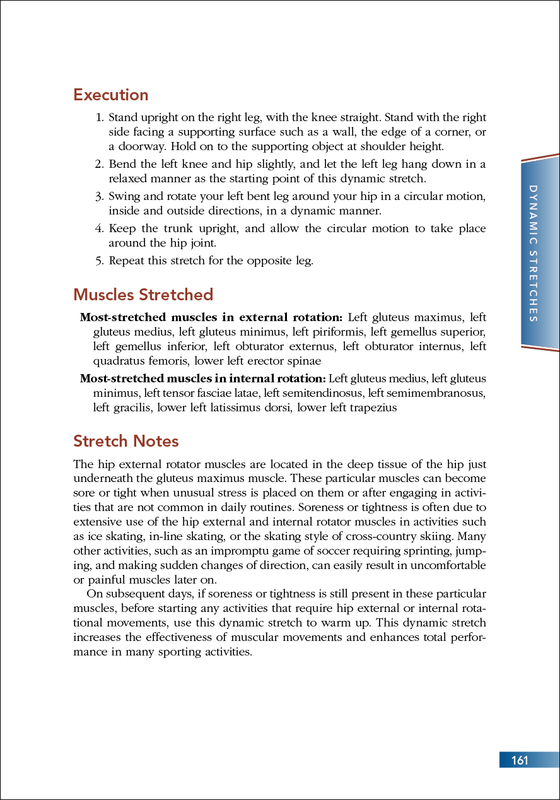 Dynamic Hip External and Internal Rotator Stretch Dynamic Hip External and Internal Rotator Stretch cont. Intermediate Wrist Flexor Stretch Intermediate Wrist Flexor Stretch cont.